Katie Payne took a razor blade to the house at the rear of 108 South Jefferson street where her husband, John, was staying with young, pretty Ethel McGowen. She slashed Ethel McGowen across the face, twice. When Ethel fell to the floor, curling up to protect herself, Katie slashed her legs, arms and hands. Ethel wasn’t going to be pretty any more. 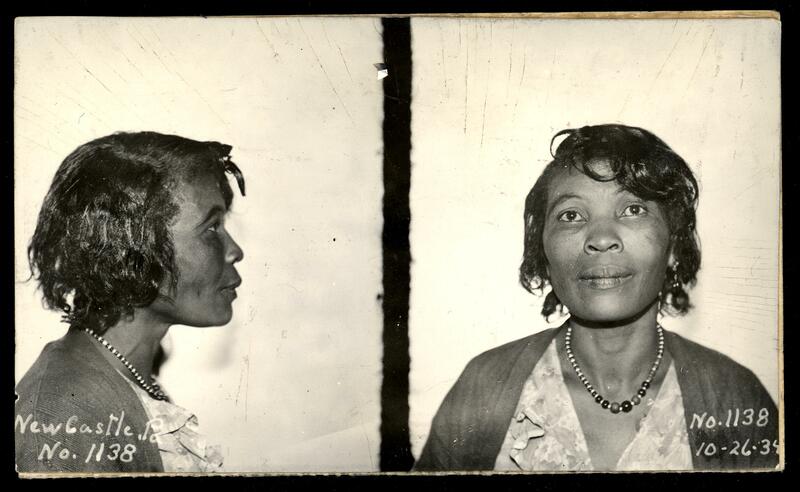 Katie was arrested and held in jail while Ethel was examined in hospital. If Ethel had died, Katie would have been sent away for murder, but she lived. A week after the attack, she was well enough to leave the hospital, and Katie was released from jail. The case never came to trial. Five years later, in 1939, Katie took a knife to the house on South Mercer street where her husband was staying with another woman, Mary Smith, but this time she came off worst. When the police arrived, Katie told them that her husband had struck her and then held her while Mary Smith threatened her with a penknife and slashed her right shoulder. John Payne got thirty days in the county jail for assault and battery. The charges against Mary Smith were thrown out after she spent a week in the lock-up. Katie and John Payne stayed married for the rest of their lives. They had three children together—Ozzie, Lillian and Wilbur (who was killed in 1948, when his car collided with another and burst into flames)—and were in their seventies when they died, within a few months of each other, in 1963. Your story explains why she has a satisfied expression here. She did what she wanted to do. I love your concluding paragraph as well. These two people were bound together for life, each with their passions and rages. Wow, you gotta wonder how that husband would have the guts to ever fall asleep in the same bed with her after the first attack let alone the second attack. I love that they stayed together until their close deaths. I bet theirs was a passionate love/hate relationship! Yes – I bet their neighbours saw and heard a lot of things they wish they hadn’t. The fights must have been quite something; we can only hope the good times were as well.